The process by which small businesses develop is changing. Thanks to the “lean movement” people are realizing that the same strategies governing large companies simply don’t work with startups. Make no mistake, you are a startup. Maybe you’ve been in business for 20 years, that’s fine. I’ve been a pro now for over a decade and I still consider myself in the same startup category. Why? Because of the resources the company has at it’s disposal to use for growth. Companies with 20+ employees and millions in profit have different abilities than my little 1099-based photo show. This means that I as a budding entrepreneur have to use more effective strategies to grow than they do. I have to stay as lean as possible to make my very exhaustible revenue do the most it can. Based on this fact, which I will go ahead and assume you identify with, we need to go over a specific shift in thinking. The MVP, and the beautiful feedback loop it brings with it. There are three big points you need to grab onto in this article. Each is a piece of the whole, and the whole doesn’t work without all of it’s parts. So pay attention, don’t just skim. I’ve made a point to bold things and put pretty pictures in just in case. The first crucial concept is what this acronym means. MVP stands for Minimum Viable Product. That is, the absolute bare minimum product you can push out to test customer response. When it comes to applications or physical products (a new toaster, umbrella, camera, etc…) this can be very simple to apply. 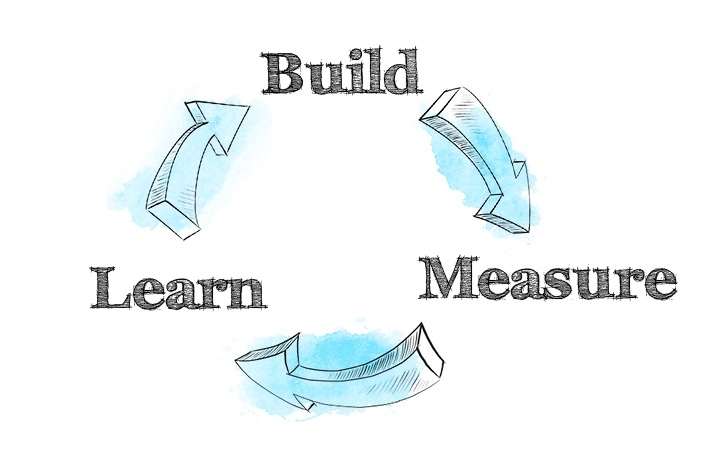 You develop a simple iteration of the product and test it against your customer base to see how they respond. Does the product do what they expect? Do they have changes in the product? Do they even want it? Obviously these are important questions for product development, but how does it translate into a service industry like ours? It’s pretty simple once you understand that you and the images you create are your product. There are a number of ways to look at the photography industry through the MVP lens (I love puns). I’m going to give you a few situations first and then we will expand on them. Focus on the one that speaks to you. You want to move into a new style of imagery. How do you determine what style to move into, or whether to shift at all? You’re just starting out in photography. You know you want to make a career of it, but what genre is best for you? Your wedding business has been going strong for years but you want to bolster album sales. You’ve taken plenty of sales classes and are sure of your ability to close, yet album sales have never been anything to write home about. How do you change this? Each of these requires that we create a sort of sample product to see how customers respond. This sample must be created at a minimal cost, that’s the whole point of running lean. If we could spend limitless cash on R&D none of this would matter much. Right? Right. So what happens? Photographers 1 and 2 are pretty similar in how to approach this. We start of by going in the direction our gut tells us to pursue, and why not? We have to start somewhere. Maybe……. ABOUT THE AUTHOR David Bickley is an Award winning photographer, Fstoppers writer and entrepreneurial consultant David Bickley is wholly engaged in helping people become more. Be it more confident via the portraits and fitness photos that brought him world-wide recognition, or more profitable in business through mentoring. David lives to bring his client’s voice out into the world.